To celebrate, Elle Strauss is giving away five debut books by authors that you can meet on her blog tour which is happening now. How to win? Sign up for Elle’s newsletter to enter. For extra entries just comment on any blog in the tour. The more blogs you visit and comment on the more chances you have to win. Five books, five days, five winners! Now I'd like to introduce you to Elle. From your blog I know your cat Tiger inspired you to write a YA novel about a girl who could time travel. What I'm dying to know is why? Elle: Sadly, Tiger is no longer with us, but at the time, it started with a dream. (I know, so many books do!) I’d dreamed that Tiger could talk and it was very emotional when I woke up because he’d said that he loved me (Oh so sappy!) Since I was already interested in the dynamics of time travel (I’d written one and shelved it. Sorry, for all these parenthetical statements!) I outlined a story where the cat could talk only when it went back in time with the protag. Obviously, that version of the story didn’t take, but it did sprout the first draft of CLOCKWISE. I gave Tiger a cameo just to thank him. Elle: Well, I don’t eat when I write and that has nothing to do with self-control and will-power, and everything to do with a slight germ phobia (before you laugh, Contagion, anyone??) I have absolutely no problem drinking, though! Daytime it’s Soy Latte and at night there’s a good chance you’ll find me with a glass of red. I saw that movie and totally still get the shivers thinking about it. 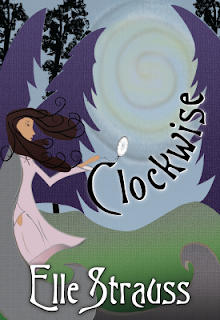 What was your favorite part of writing Clockwise? Elle: That’s a hard question. CLOCKWISE was actually quite hard to write. I didn’t know then what I know now about structure, plus with a time travel element you actually have two 3 act structures going on that have to meld into one overall story structure, so there was a lot of hit and miss going on. But I’d have to say writing the budding romance between Casey and Nate in the past was fun. They had so many obstacles to overcome. Ah romance, that is indeed so much fun to write, and read! I'm going to be mean and make you pick favorites. Who was your favorite character to write and why? Elle: I’d have to say Casey. She is the one I spent the most time with and got to know inside and out. It’s like she’s a real person, ya know? I know exactly what you mean. Any closing thoughts to leave us with? Elle: Thanks so much for having me, Heather and for being part of my blog tour! It was my pleasure Elle. I wish you the very best of luck with your novel and can't wait to read it! You can't go wrong with Clockwise because Elle has already joined the ranks of the Indie Elite, a special group of independent authors who's work is a cut above. Join me in ordering it here. 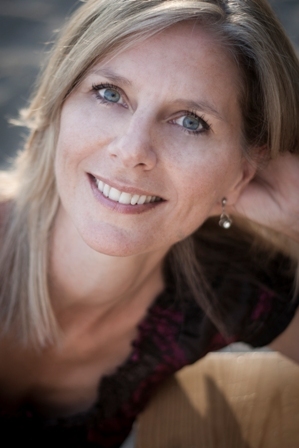 Learn more about Elle and enter her contest, and learn more about the Indie Elite here. Thanks for introducing Elle! An amazing woman and I know her book is going to be a great success! Congratulations on the book! So sad to hear about Tiger but wonderful that he'll live on forever in your pages. Thanks for the fab interview Heather. Great interview. I'm always interested to know how books begin as an idea and grow from there. Thank you Heather for hosting me, and to everyone who stopped in to say! I feel the warm fuzzies! Congratulations, Elle! I think her story premise sounds amazing, and I can't wait to read CLOCKWISE. I love the sound of Clockwise--and that's a great cover, too. :) Thanks for the interview! I tried to comment twice yesterday. Here's tying for # 3. This is the first time I'm hearing of The Indie Elite. Nice to know where the inspiration came from. Good luck, Elle! Oh Hooray. I love Elle on Twitter. Great interview.